Sao Paulo, Brazil, 2017-Nov-21 — /Travel PR News/ — In anticipation of the opening of Four Seasons Hotel São Paulo at Nações Unidas in 2018, Four Seasons Hotels and Resorts announces the appointment of Michael Schmid as General Manager. The hospitality veteran marks his return to the Four Seasons family as he leads the opening of the company’s first hotel and residences in Brazil. “Michael is an exemplary hotelier with extensive experience in Europe and the Americas, and the ideal leader to introduce Four Seasons to this important growth market,” says Vince Parrotta, Four Seasons President, Hotel Operations – Americas. Born in Switzerland and educated at the prestigious Ecole Hotelière de Lausanne, the multi-lingual Schmid began his Four Seasons career at the former Four Seasons Hotel Berlin before moving to the company’s hotel in Chicago. 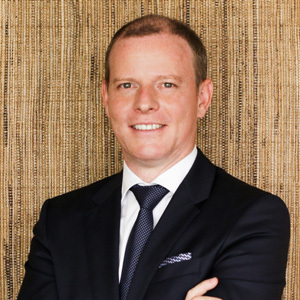 After some years working for other hotel companies in Europe, Costa Rica and São Paulo, Schmid was pleased to find that while the company has grown significantly in the interim, its dedication to offering the highest level of personalised service that attracted him to Four Seasons years ago is stronger than ever. The opening of Four Seasons Hotel São Paulo will herald the long-awaited arrival of the brand to South America’s financial and cultural capital. Located in the fast-growing southern region of the city, Four Seasons will be located alongside Fortune 500 companies in the bustling metropolis, welcoming travellers from around the globe and Brazilians who flock to the city for its famed nightlife, cultural offerings, medical facilities and shopping. Unmistakably Brazilian, the 254-room hotel draws inspiration from the country’s great architecture and design traditions. Upon entering, guests will be welcomed by an exceptionally passionate staff who will personalise their stay or visit. Following the buzz of chic Paulistanos (as the city’s natives are known) through original works by local artists, guests will be drawn to the convivial lobby bar. An additional restaurant will offer authentic northern Italian cuisine, paying tribute to São Paulo’s strong European heritage. A unique indoor/outdoor pool and a world class spa will offer a respite from city life, while state-of-the-art event spaces will host the city’s most important business and social events. Those looking for a day trip may choose to take a short helicopter ride to discover the striking northern coast of the state or board a 30-minute flight to Rio de Janeiro. Four Seasons Hotel São Paulo at Nações Unidas, which is also home to 84 Four Seasons Residences, is anticipated to open in late 2018. For more details on hotel features, click here. This entry was posted in Hospitality, Hotels, Luxury, Travel, Travel Management and tagged Four Seasons Hotel São Paulo at Nações Unidas, Michael Schmid, Vince Parrotta. Bookmark the permalink.